It is an option to try if you need a 'pacifier' to not smoke..and I admit..I do need a prop. for those time when the craving is almost unbearable...it helps me. All of our ex-smokers had a blast at our party "smoking" these fakes! Cool Product & Good Price! 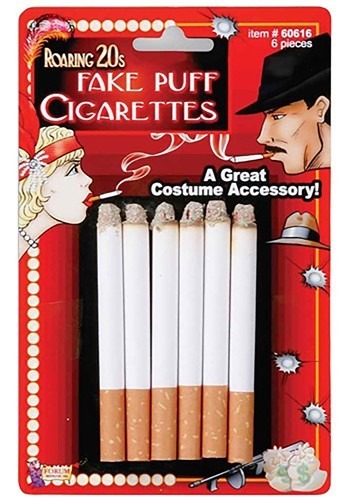 We got these to go with a flapper girl costume and they looked really realistic!! I was so pleased with them. For the price you can't beat the quality or the quantity that they send you! I would recommend!! Thanks Halloween Costumes your products always seem to be high quality and you have excellent pricing on all of your items. Customer for Life! !